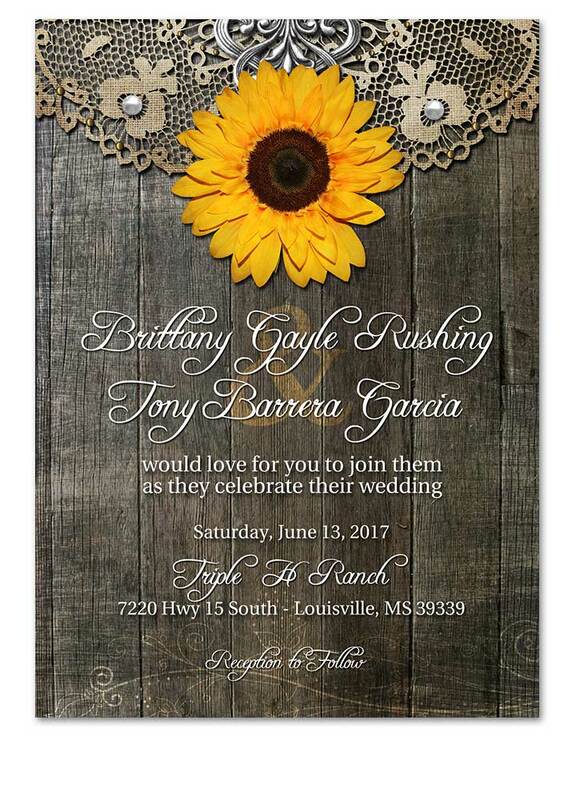 A great rustic wedding invite featuring yellow sunflowers. 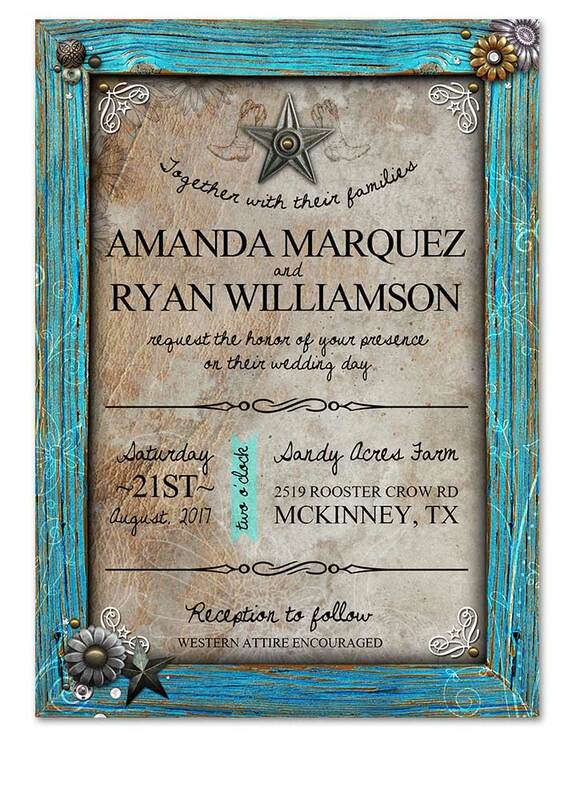 Rustic Turquoise Frame Wedding Invitation for those rustic weddings in the great outdoor country! 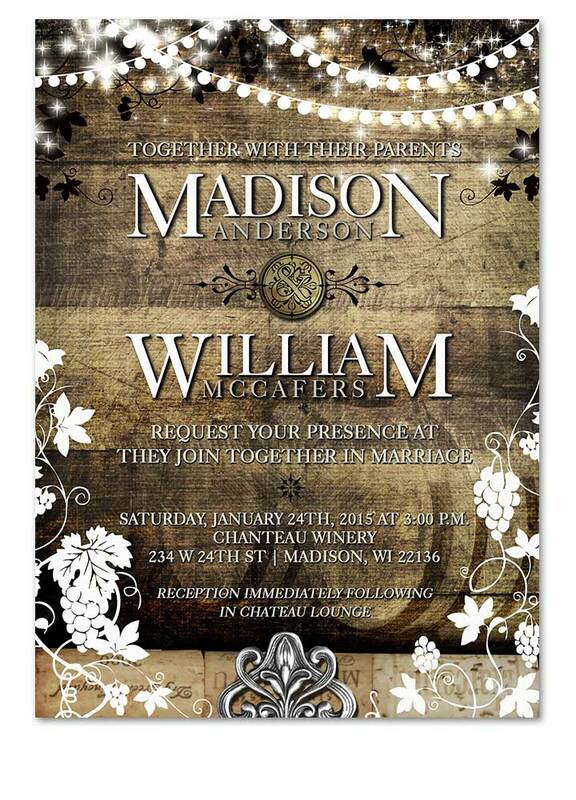 An invite so great your guests will think they are headed to Napa!. 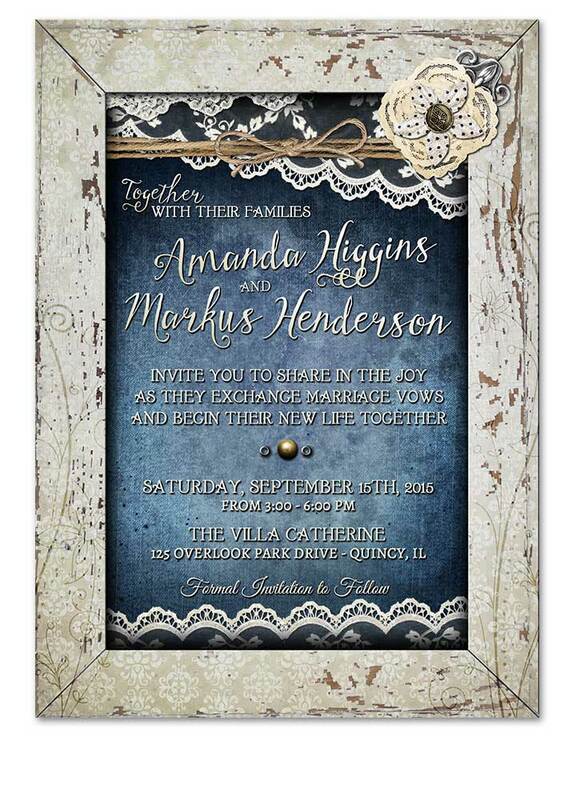 This rustic invitation features a barn wood background with blue doily lace overhead. 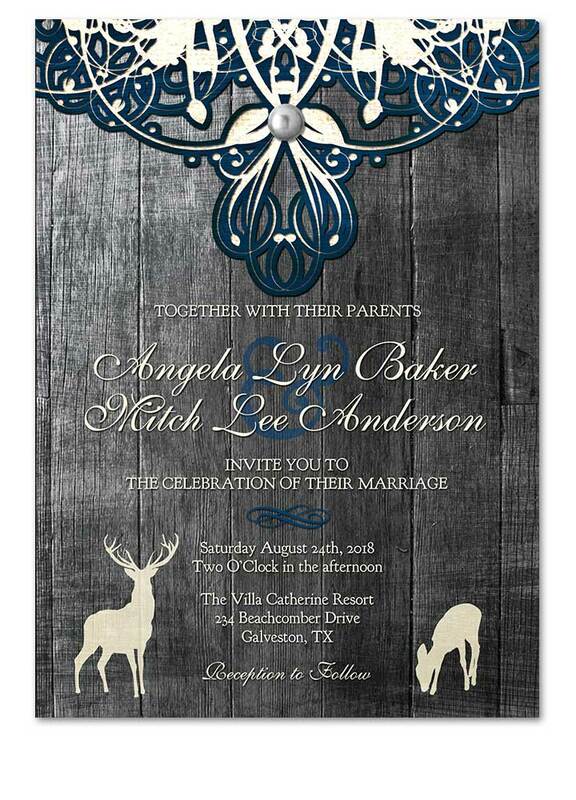 A buck and a doe can be found at the bottom along with fancy fonts that hold your wedding day text. 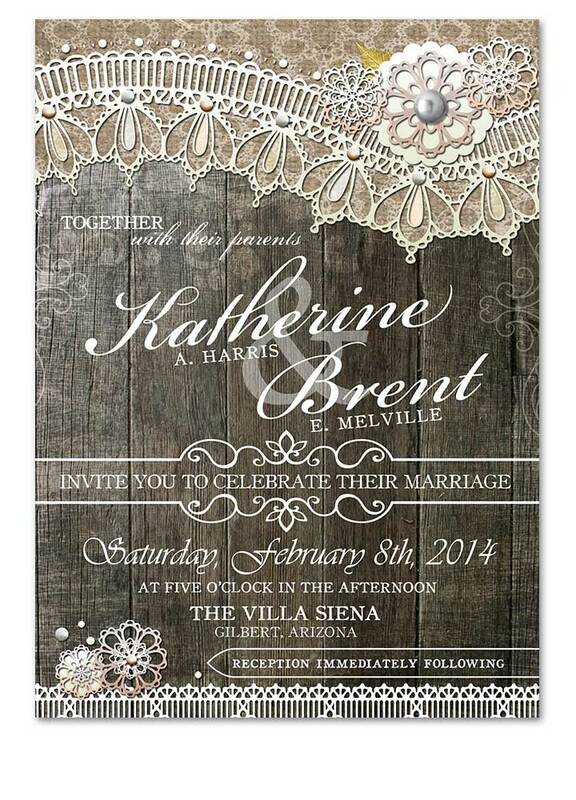 *Faux lace and wood & embellishments. Introducing the Rustic Wood Lace Wedding Invitation. 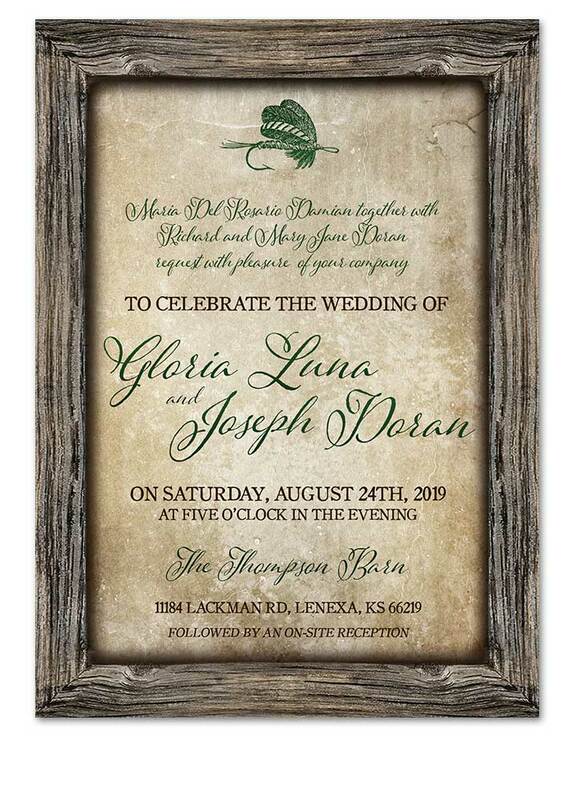 This fancy and ornate rustic wedding invitation features a brown wood plank background with burlap and lace overtop. 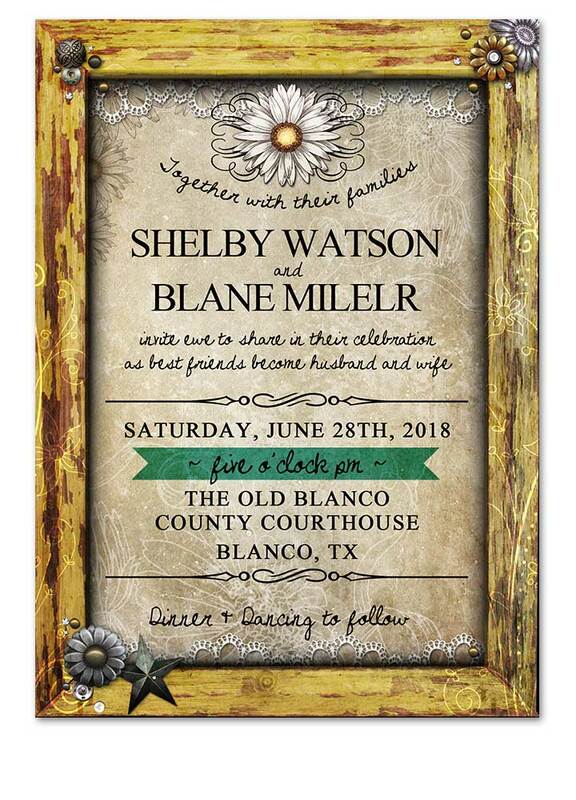 whimsical flowers can be found on the top and bottom of the invite. Twinkling lights sit over top of this beautiful mountain landscape scene like a view from a postcard. 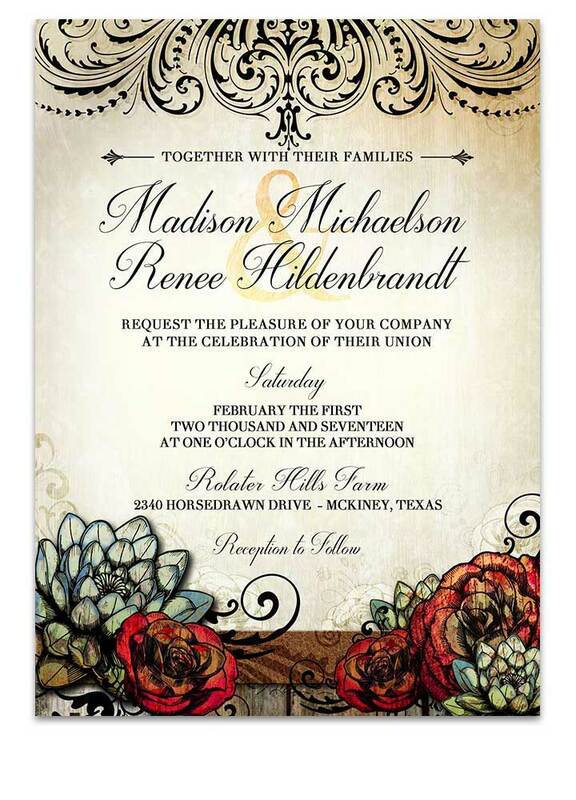 Fancy script font holds all your wedding day text. 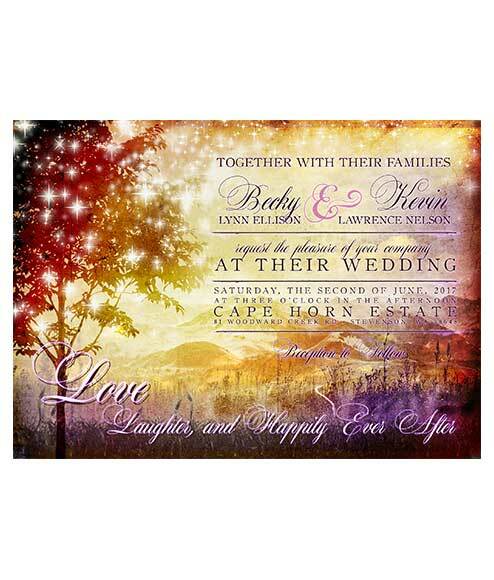 Love, laughter and Happily Ever after will be had with this beautiful wedding invitation. 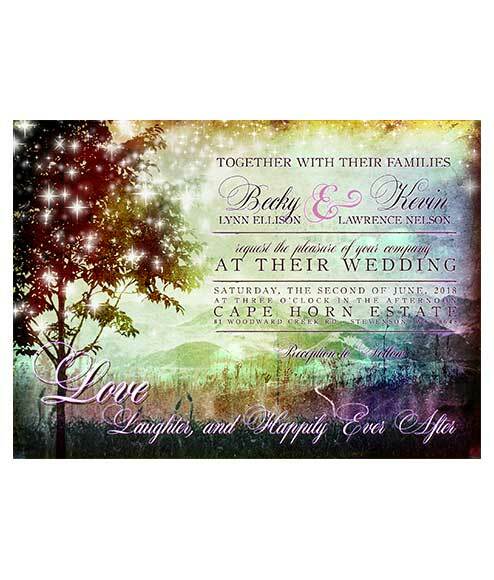 Scenic Spooky Halloween Moon Wedding Invitations – Blue. 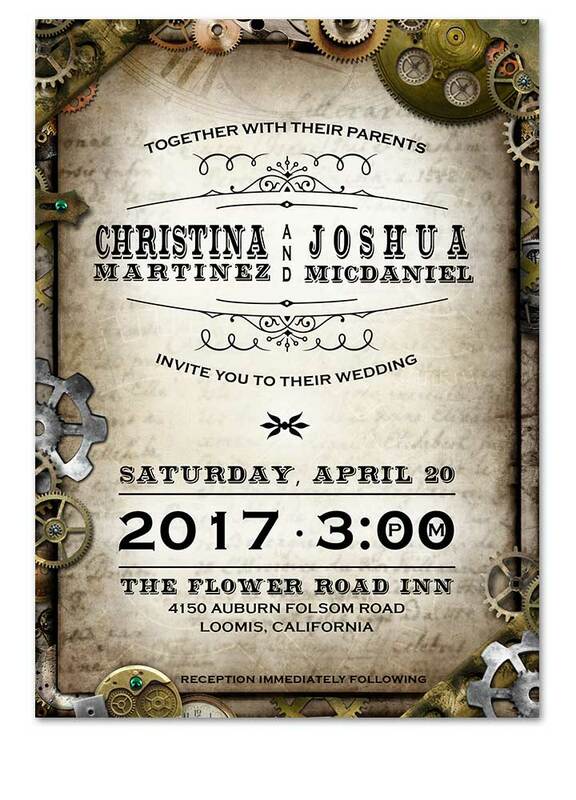 Whether you’re getting married on Halloween or just have taste for the offbeat and dark, these halloween inspired wedding invites are sure to be a hit! 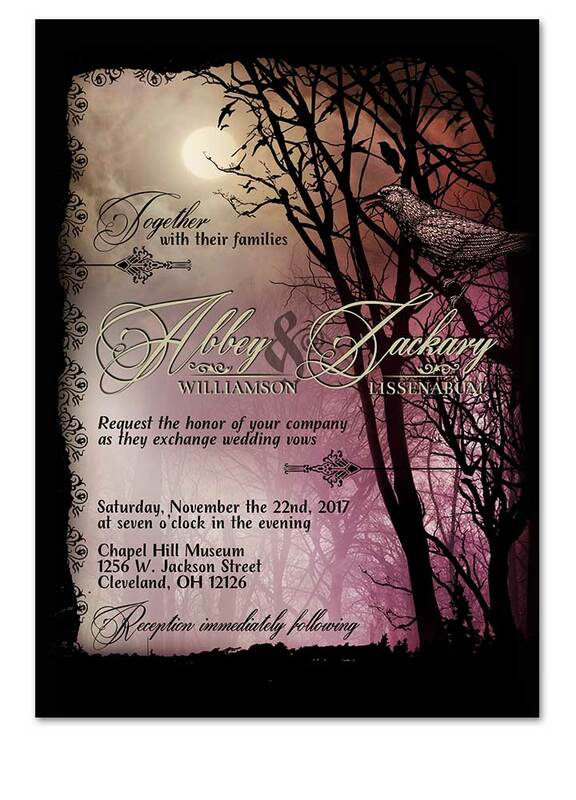 Scenic Spooky Halloween Moon Wedding Invitations. Whether you’re getting married on Halloween or just have taste for the offbeat and dark, these halloween inspired wedding invites are sure to be a hit! 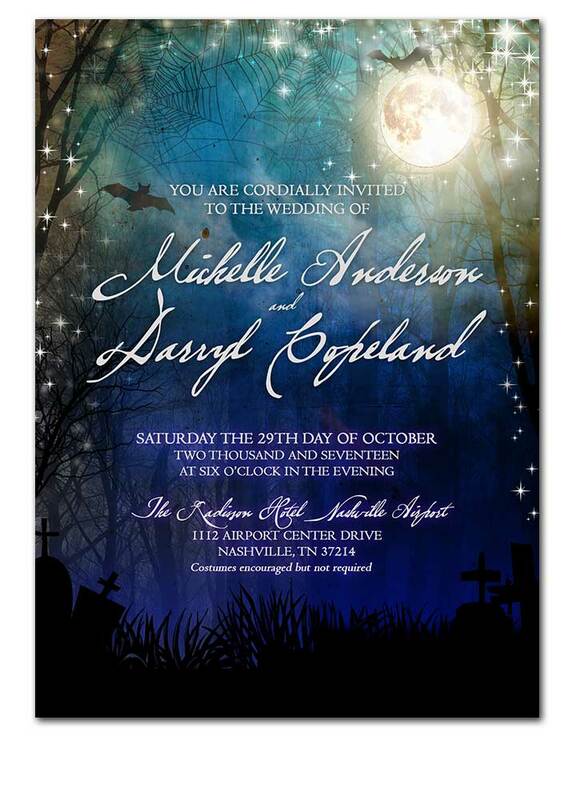 Love with a love that is more than love with our Spooky Romance Edgar Allen Poe Inspired Wedding Invitations.